Simplicity AI will be exhibiting at the Aerospace & Defence Forum, taking place on Tuesday, 20 June at the Madejski Stadium, Reading. We are delighted to be Exhibitors at this year’s Aerospace and Defence Forum. It’s a great opportunity to discuss our range of tailored test engineering services and products and what we can offer in terms of complete bespoke test systems, development platforms and test data analytics. 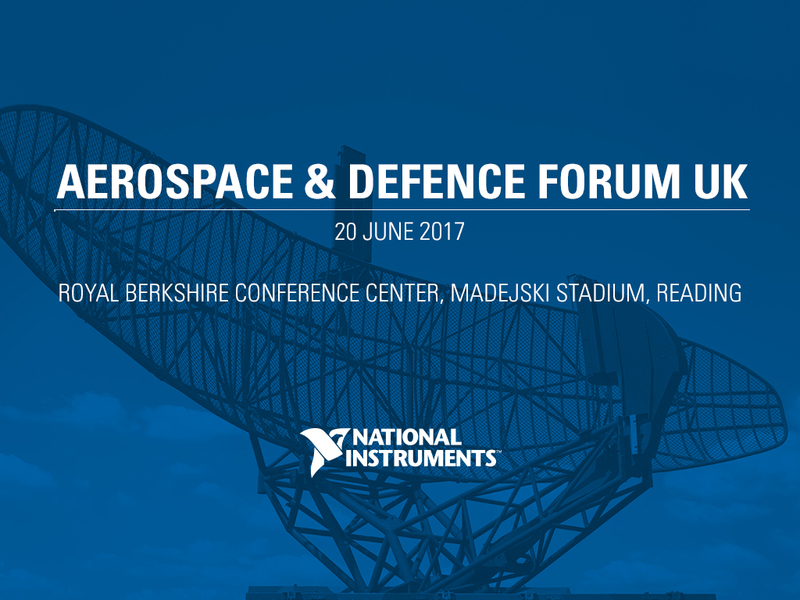 National Instruments are hosting their annual UK Aerospace & Defence Forum, dedicated to managers leading projects in the aviation, aerospace and defense industries. integration tests with other avionics systems. Come and see us on stand 1 in the exhibition area. Experts from Simplicity AI’s team will be on-hand to discuss the company’s test engineering products and bespoke services. Technology partners Peak Group will be sited on the neighbouring stand, so that joint software/hardware projects can be discussed.